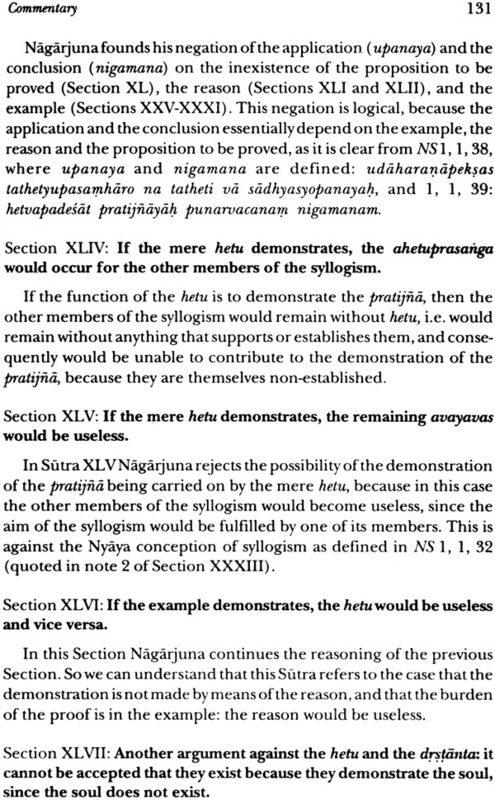 The Vaidalyaprakarana belongs to the Madhyamika School of Buddhist Philosophy and is attributed to Nagarjuna; it is an important treatise of polemical character directed against the Naiyayikas. 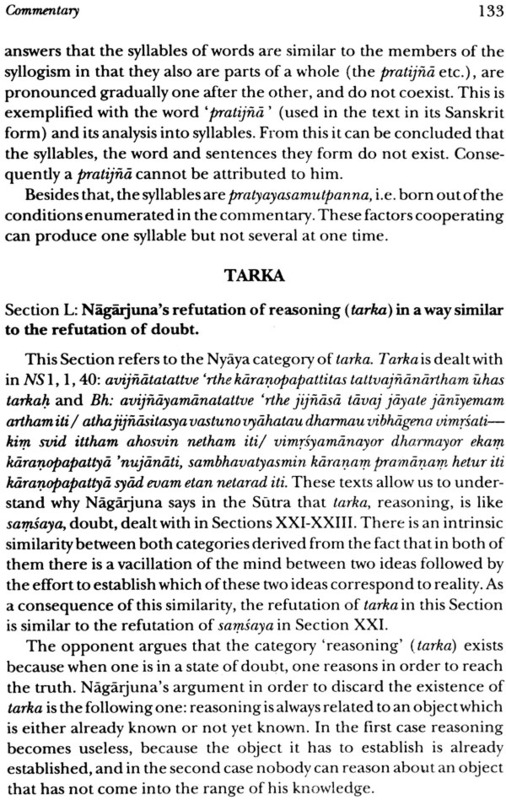 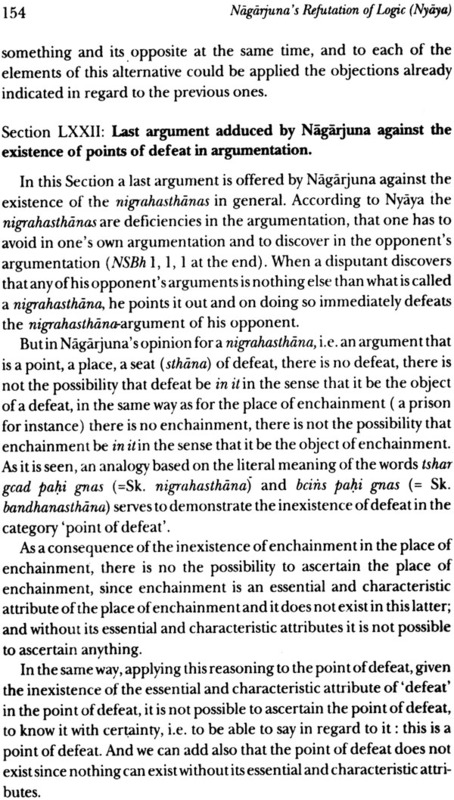 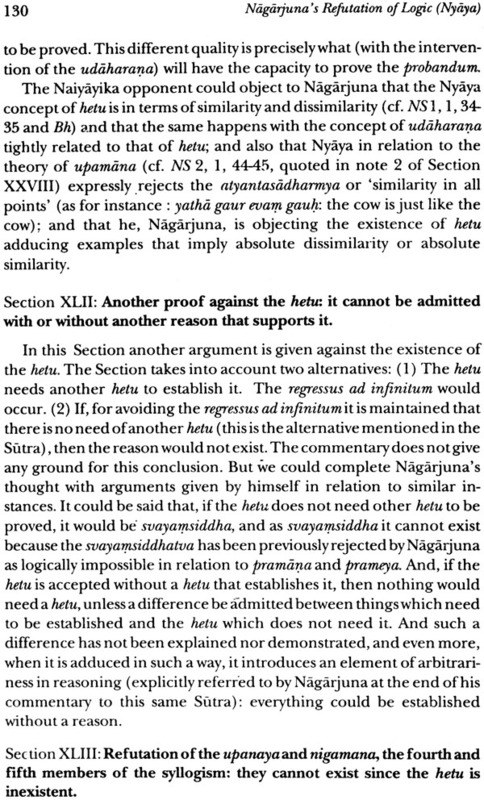 It aim is to demonstrate the logical impossibility of the existence of the Nyaya categories or padarthas as enumerated and dealth with in Gautama's Nyayasutra and Vatsyayana's Bhasya thereof. 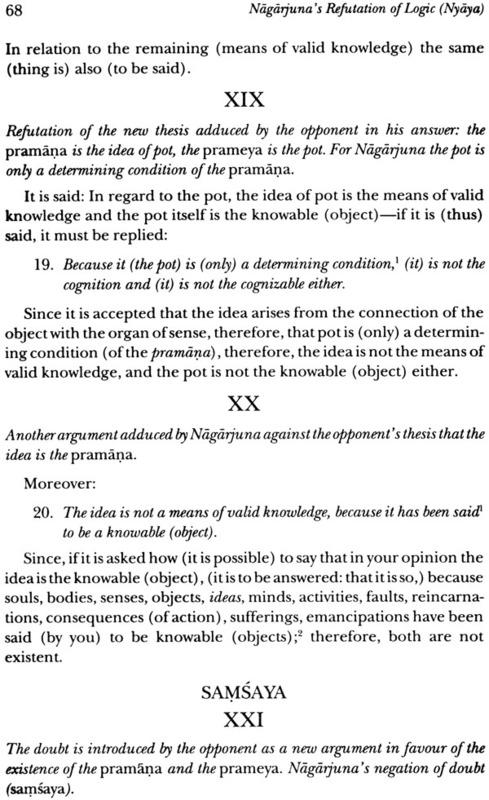 It belongs to the Indian philosophical tradition which did not admit the pramanas as valid means of knowledge and which thereby could be called the "agnostic tradition". 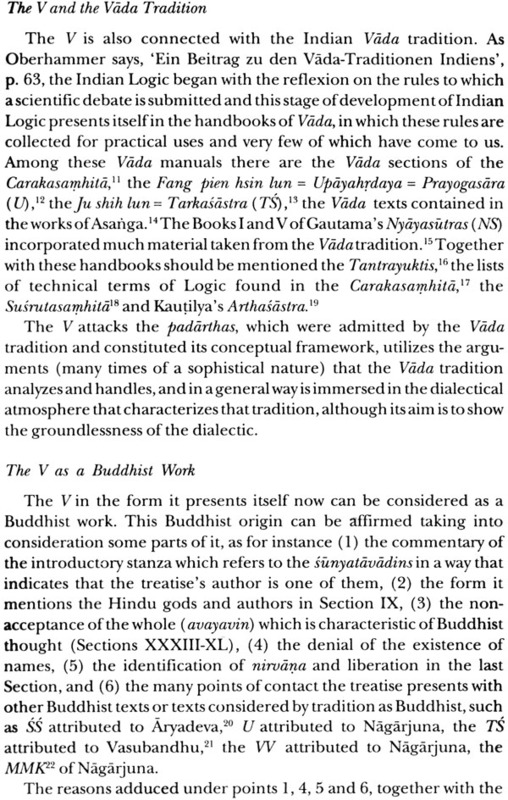 The Vaidalyaprakarana is immersed in the dialectical atmosphere that characterizes that tradition, although its aim is to show the groundlessness of Dialectics. 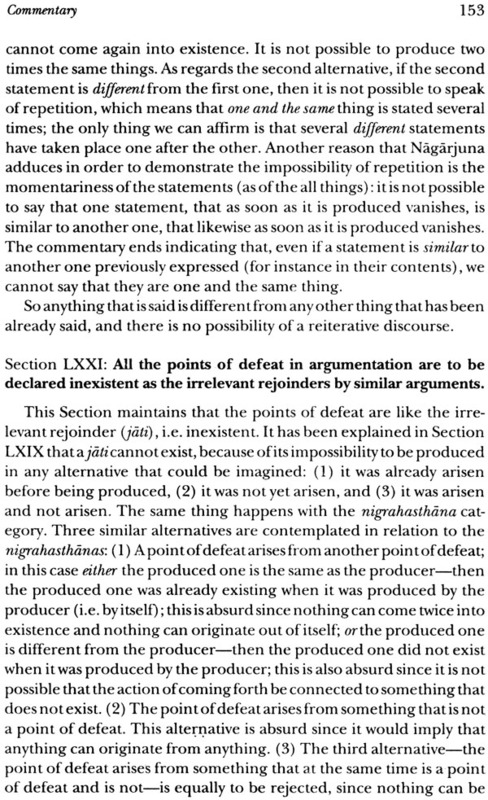 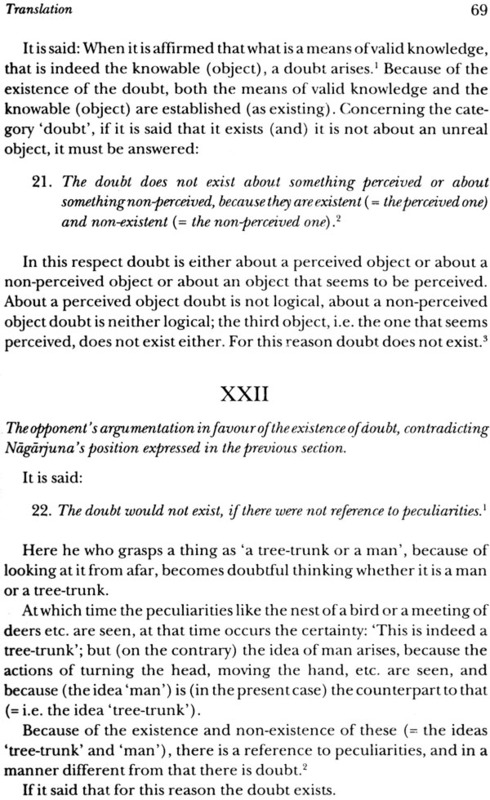 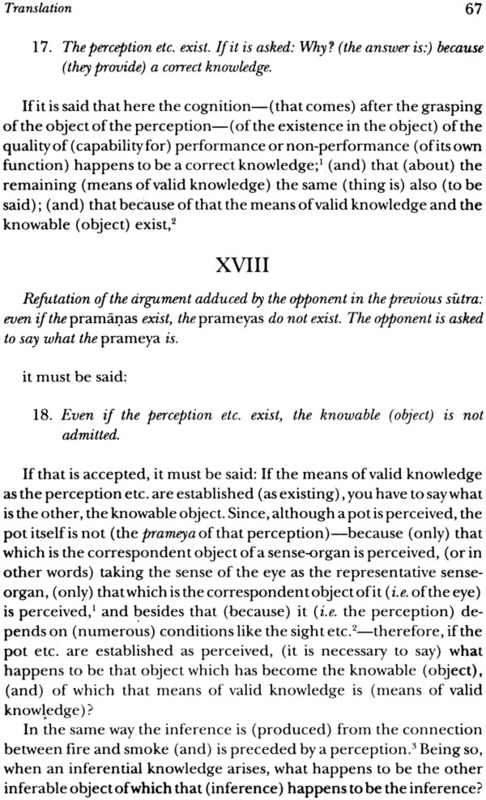 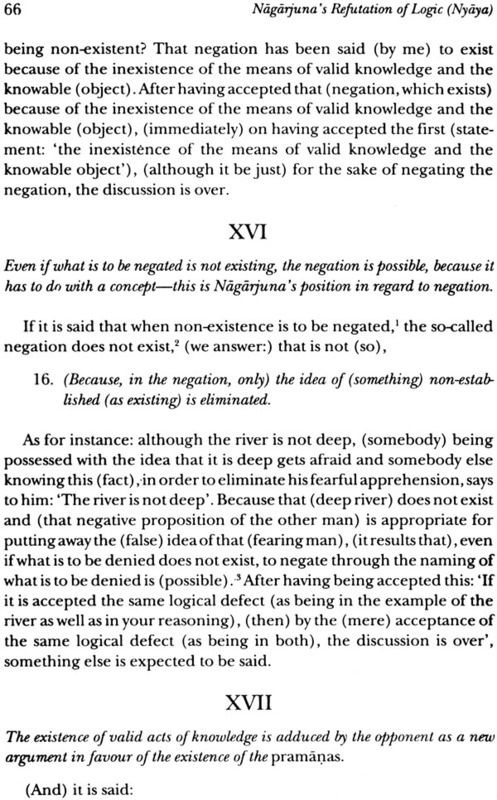 The treatise gives a clear idea of the Madhyamika conception of logic. 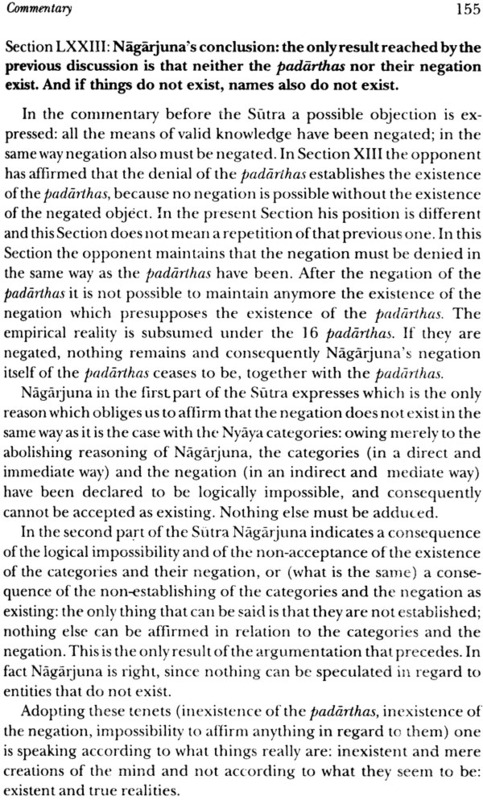 It deals with many themes of Indian Philosophy. 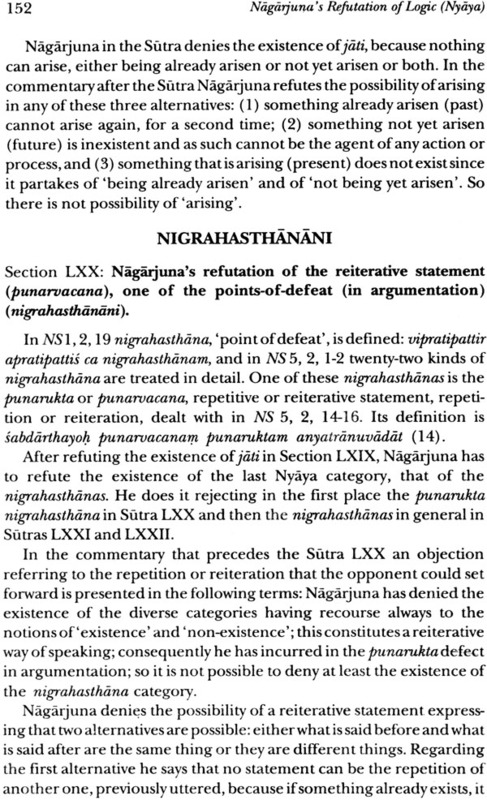 The present book contains an Introduction in which the authorship of the Vaidalyaprakarana is discussed, reaching the conclusion that, although the fact analyzed by the authors "may not undoubtedly discard the authorship of Nagarjuna, at least they provoke a doubt regarding it - a doubt that is stronger in regard to the commentary". 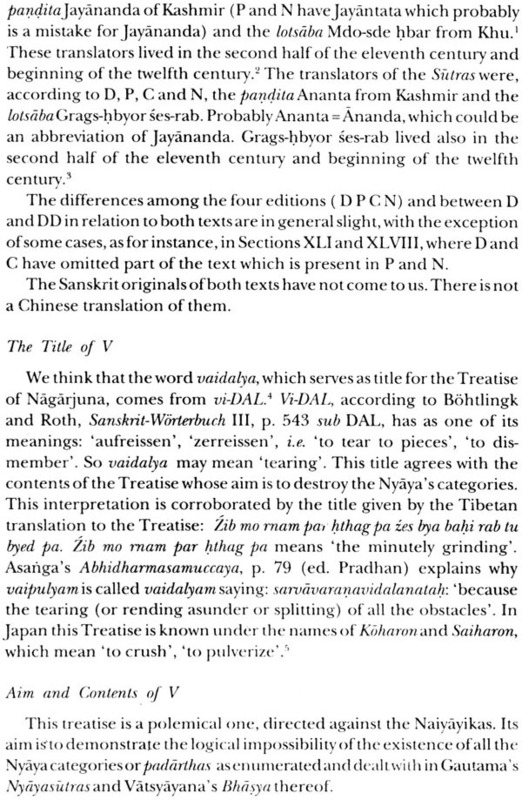 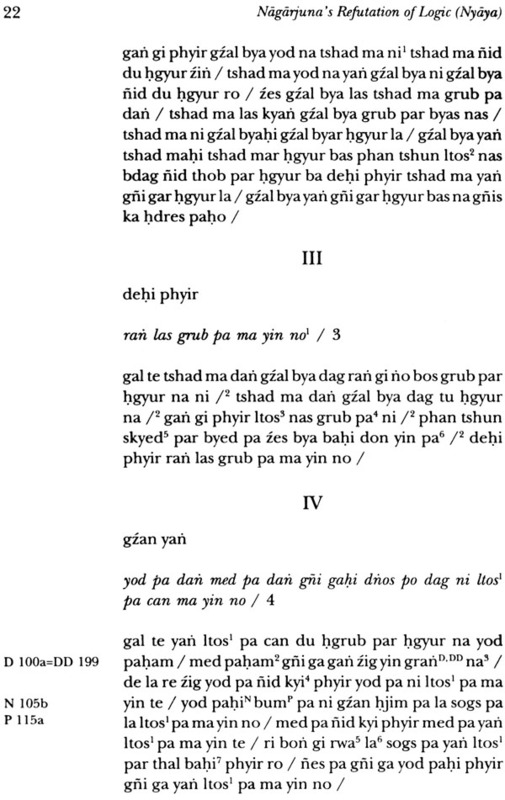 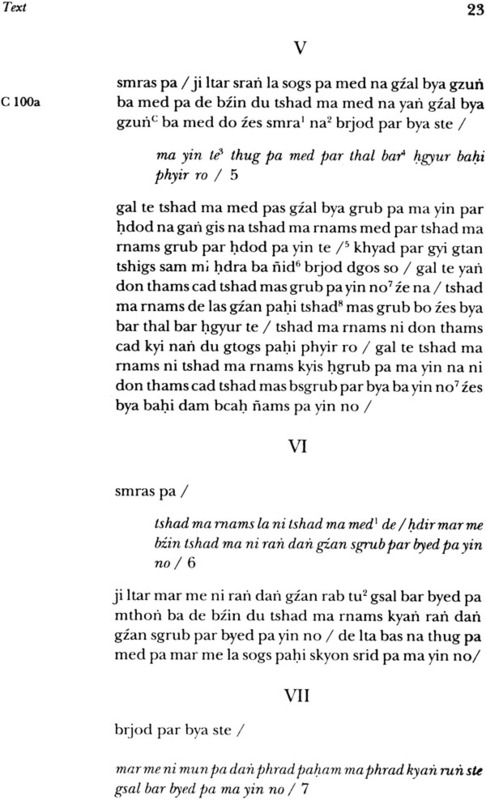 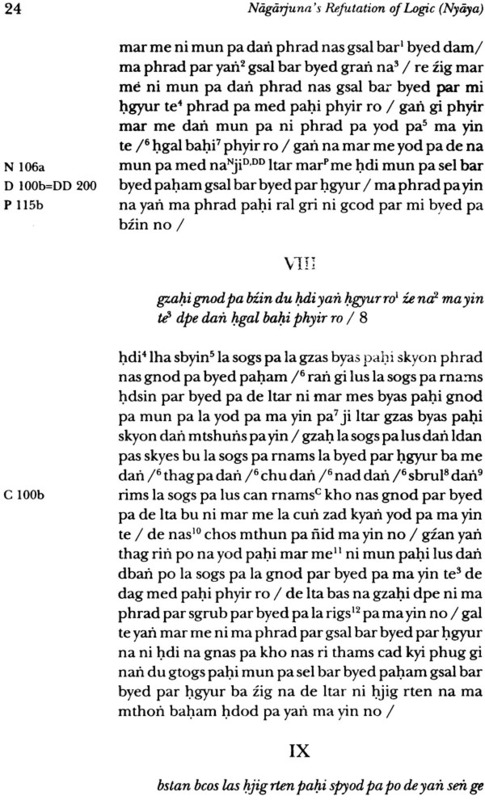 It also contains the edition of the Tibetan text on the basis of the Sde-dge, Cone, Peking and Snarthan editions, an English translation and a Commentary by the authors, on the doctrinary contents of the treatise, and finally notes giving parallel pertinent texts. 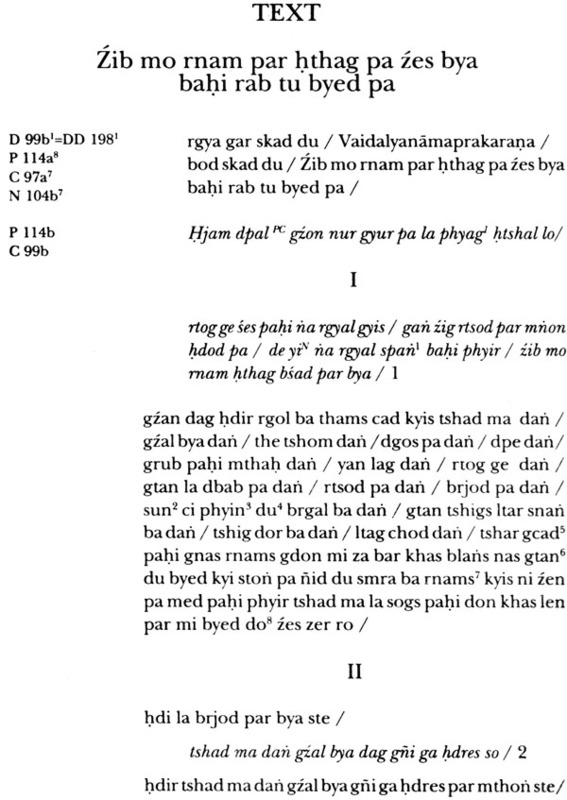 Fernando Tola and Carmen Dragonetti have been Professors in the National Unviersities of San Marcos (Lima, Peru) and Buenos Aires (Argentina). 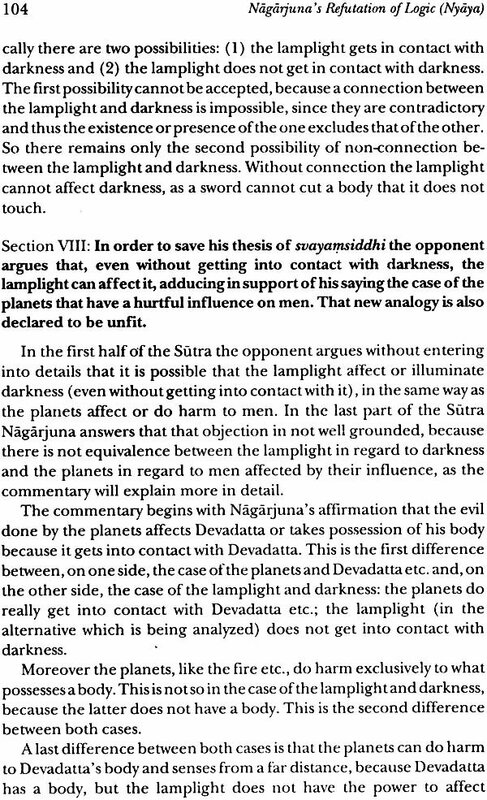 Now Carmen Dragonetti is Superior Investigator of the National Council for Scientific Research (CONICET) of Argentina, in the area of Indian Philosophy; Fernando Tola is retired superior Inverstigator of the same institution, and Honorary Member of the Argentinian Scientific Society. 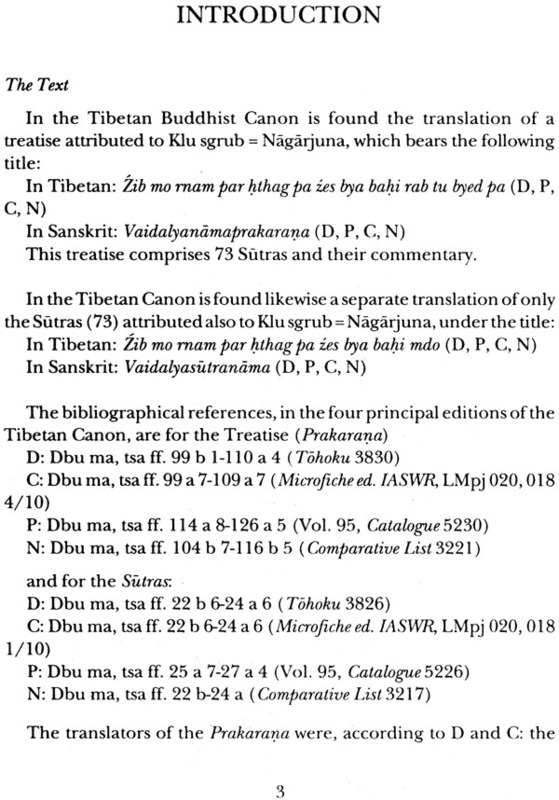 She is President and he Vice-President of the Institute of Buddhist Studies Foundation (FIEB) (Argentian). 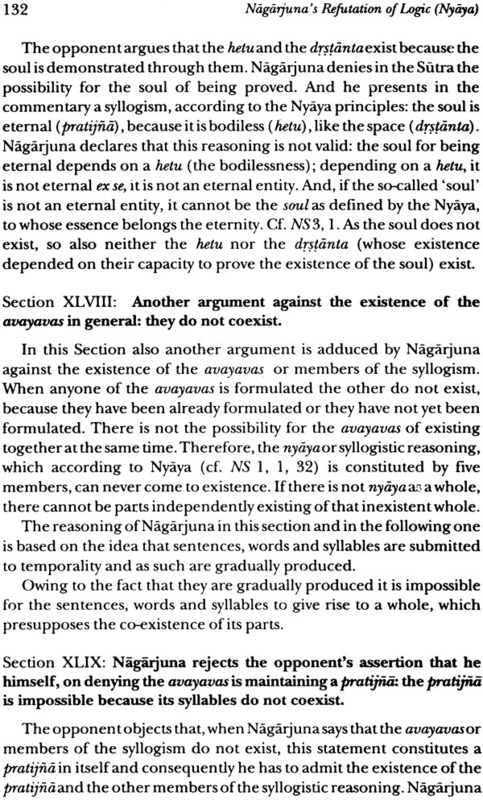 They have been Directors of the Revista de Estudious Budistas (Journal of Buddhist Studies) REB, edited in Mexico, and Overseas Research Fellows of The International Institute for Buddhist studies (Tokyo). 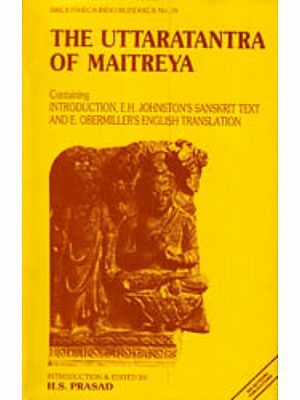 Independently or in collaboration, they have published several books in Spanish on Indian Culture, specially on Indian Philosophy, several translations into Spanish of important Sanskrit and Pali texts. 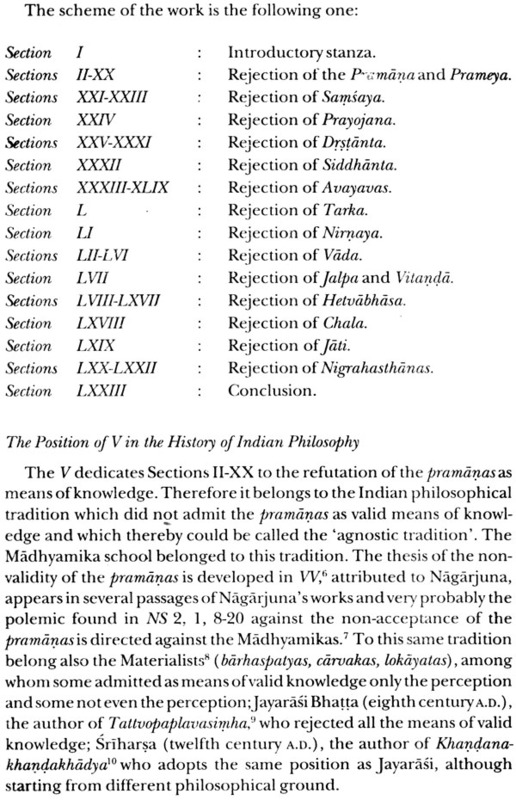 They are also authors of numerous articles in English and Spanish on Indian Philosophy in specialized Journals.